Release Day for GROUNDED IN JANUARY!! The day has finally arrived and now YOU can enjoy my first sweet romance novel. I’ve loved this story from the first idea (a fearful flyer), and my drive to include multiple sclerosis in a story (for my mom who suffered from the disease). From there the idea grew in Grounded in January. And, an important note, for many of you who remember Bayou, I hope you find this book extra special. While this story is a work of fiction, Bayou’s mannerisms are brought back to life (and his name) throughout the book. I do hope YOU find this story to be funny and inspiring. Advance praise for Grounded in January. Grounded in January is a heartwarming, down-to-earth tale that will convince you that two people, no matter how imperfect, can still find a perfect love. – Cassidy Carter, author of Love on Location and The Perfect Catch from Hallmark Publishing. Grounded in January is a story of resilience and rebirth that will warm your heart. Kate and Ox reminds us that having faith in love can be the greatest leap we can make. – Maggie Wells, author of Love Game from Sourcebooks Casablanca. A heartwarming tale of two people dealing with real-life issues that lead you on an emotional journey filled with angst and laughter. This story is a fantastic reminder that love can make all the difference in someone’s life, especially when other factors are full of uncertainty and out of one’s control. Inspirational! – Elsie Davis, author of Back in the Rancher’s Arms from Entangled Publishing. Add Grounded in January to your Goodreads list! Purchase it on IndieBound or Amazon! And request it for your local library and bookstores! Please enjoy my interview with children’s book author, Meg Raby, and her first picture book, My Brother Otto. During an Instagram story you gave viewers the opportunity to learn that My Brother Otto almost never happened. Tell us your thoughts about when you decided to send it off to Gibbs Smith Publishing. About four years ago I had some eyes I highly respected take a look at my manuscript, which was then called PIPER AND OTTO, and tell me that it needed a lot of work and actually encouraged me to take the picture book in a whole different direction. If I had listened to this advice, I would have been writing something that was not my own—and not the point of MY BROTHER OTTO. Because of the status of some of the people who provided initial feedback and because I found the whole process to be exceptionally vulnerable, I set the manuscript down and told myself to let it go—it wasn’t meant to be. Fast forward about two years later and I’m in an accountability group all about taking risks (don’t worry, the healthy kind! ), and they encouraged me to pick up the manuscript again—to risk the rejection all over. I picked it up, ended up making some significant, albeit important, changes to the manuscript and MY BROTHER OTTO was born. Because Gibbs Smith Publishing publishes some of my family’s favorite books that seek to “Enrich and Inspire Humankind,” and because I thought it would be an incredible and more personal opportunity to actually get to meet the editor and other staff members of Gibbs, I put them at the top of my list. I will let you know my list was lengthy but that I never had to submit to any of the other publishers, because I heard back within 1 month. Oh how my heart exploded! Where/when did the idea to write My Brother Otto start? I had known facts about autism spectrum disorders (ASD) but never had direct relationships with any child or adult with ASD until graduate school. I went to the University of Minnesota-Twin Cities and received my Masters in Speech and Language Pathology with an additional certification in ASD. Before graduate school, I could list off the common characteristics of autism and write a strong essay, but I did not truly know what it all meant. In graduate school I had the chance to do a clinical experience, or practicum, at a local autism center. This experience lead me to my first job as a speech and language pathologist with kiddos on the autism spectrum. Oh how I wish I could share with the perfect words how much that practicum and job melted my heart and forever created a love for the children and their families. I think it’s a common misconception that if you have a diagnosis of ASD then you are “living in your own world” and don’t have social needs. You see a bunch of odd behaviors and that’s it. This couldn’t be further from the truth. I became friends with a 3-year-old who was nonverbal and who displayed a high amount of tantrums and aggression. This child was merely communicating frustration in a way he knew how—he was upset, and I realized that if others weren’t understanding what I was trying to communicate that I’d be upset, too. This same child grew to trust me and to enjoy our interactions. He’d see me in the hallway and flap his hands in excitement. On the occasion, he’d even hug me. I knew this needed to get out there for others to hear—I’m cutting my response to this question a bit short, because I could discuss dozens of more children (and adult) relationships similar to this one. I do want you to know that the very first thing that set off my pursuit of writing this picture book was Ellen Degeneres’s statement to “Be kind.” She says this at the end of each show, and I love it. I love her. In order to be kind, especially when a child and when something or someone seems different or maybe even weird, gaining understanding and walking in their shoes to get a new perspective is absolutely essential. Gaining understanding leads to love—to kindness. Your Instagram account, Bedtime Stories Forevermore, blossomed quickly. What was your hope when you started the account and did you think it would bloom into what it has? My goal was merely to do something creative and to connect with others who love children’s books as much as I do. Sure, as a speech and language pathologist I know the importance of literacy and want to always advocate for more time reading together (it’s insanely important), but I also know the magic and the fun that comes from falling in love with books. I want to share only books that I believe will be endlessly beloved and help along in the “falling in love” process. I will say as soon as I learned MY BROTHER OTTO was being published that I took the opportunity to address awareness and acceptance of children and adults on the autism spectrum on my account. I am so excited to spread the love for a misunderstood or often-overlooked community on Bedtime Stories Forevermore. I’ve connected with inspiring parents and friendships have formed. If even one person can gain new understanding or one parent can help their child understand their classmate on the autism spectrum and encourage kindness, then my job on Instagram is worth it. Some states have a large group of writer programs/events and groups, while others lack. How does Utah stack-up? Utah is a hub for children’s authors and for writing seminars and conferences. I honestly did not know this prior to moving here three years ago, but if you are looking for support in the children’s literature world, this is certainly a great place! I’m actually on my way to grab brunch with author Lezlie Evans—we met when her book FINDING CHRISTMAS came out and became instant friends. She’s so lovely. Do you have any other picture books in the works? Sitting in the hands of the publisher? Yes. Given the green light for publishing one of the manuscripts yet? No. I currently have a sequel about Otto that is being reviewed and actually a holiday book not related to Otto that is also being reviewed. We shall see what happens! It’s definitely a practice of patience in this field of work—but totally worth it. My Brother Otto released on March 19, 2019. What is your ultimate goal with its release (how do you hope it inspires/helps the Autism community)? I want MY BROTHER OTTO in the hands of all young readers—whether they have any association with autism or not. Currently 1 in 59 children are diagnosed with ASD in the US, so it’s safe to say there is most likely 1-2(+) classmates or neighbor kids in their daily life with this diagnosis. My goal is to make ASD understandable to the youngest of readers and to show that these classmates and neighbors like to learn, play, have friends and have fun just like they do. I want everyone to fall in love with Otto. Last weekend I had the opportunity to hear Cassidy Carter, author of Love on Location (you can find my interview with her here) and the director of Hallmark Publishing, Stacey Donovan, speak at a local Barnes and Noble writer workshop. The group met in an open area of the bookstore and the ladies chatted about writing and Hallmark Publishing. How Stacey and Cassidy conducted the workshop made everyone feel welcome and comfortable to ask questions. I’ve been to many writing workshops and conferences and I can say that this informal setting, and the way Stacey and Cassidy presented the material (and themselves) made it one of the best ones I’ve attended. And this one was FREE! What I loved the most, and what I learned from was the three writing prompts Stacey gave us. We had three minutes per one given. Being someone who takes a while to feel comfortable in a new setting and around strangers I didn’t think anything would come when the first prompt was given. But it did! I think my ability to channel my love and comfort of writing happened quickly because I was out of my comfort zone. I needed familiarity, security, and I always find it in my writing. I walked away with a wonderful new story idea. And Stacey had mentioned being free of distractions and in a different setting can often increase these odds. She was correct. So I encourage writers to try this, to mix it up and see if these help when they are feeling stuck or needing a new idea. If you have ever stepped out and written outside of your normal spot did it help you or were you distracted by the new setting? What did you learn about yourself/your writing when you did this? Please welcome author, Cassidy Carter to the blog!!! Her newest book, Love on Location releases tomorrow, March 12th from Hallmark Publishing!! Yet, Ms. Carter is not new to Hallmark Publishing. 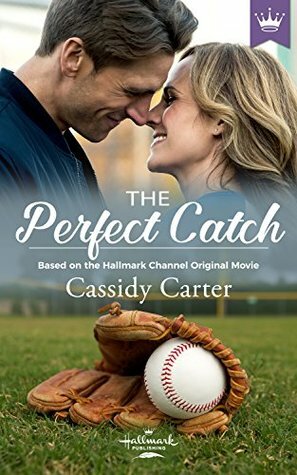 She also wrote The Perfect Catch (based on an original Hallmark movie). Please enjoy her interview! You live far from any place like Cabins in the Pines, what brought you to write this specific story? I grew up in the country, and I love the outdoors. And you’ll be familiar with the other inspiration for the setting, Savannah—Flagstaff, Arizona! I struggled a bit with Love on Location at the start of the process, because I originally envisioned this tale of two best friends (who don’t realize that they’re meant for each other) set in a family-owned factory. But there wasn’t much fun in that “location,” so the setting was switched to the Cabins in the Pines, a place that I hope the reader will find as engaging as the love story. How much research did you have to do between the camping and TV production aspects of the story? My family and I camp quite frequently, so the camp aspect of it is very familiar to me. I used some actual camp layout maps from places we’ve been to plan out what the Cabins in the Pines looked like. As far as the TV aspect, my husband and I watch quite a few business-makeover shows like The Profit and Hotel Hell and, of course, the business-investment show Shark Tank, so that inspired some aspects of Love on Location. And then I did do some research on these shows, but I also tried to keep the technical stuff pretty light in case I got anything wrong! You are a professional editor, does that make writing easier? In a way it does, but there are ways it makes things harder. It helps me write (hopefully) pretty clean first drafts, but it also makes me mortified when I miss something obvious. More on that below! That said, when I write, I try to put the words down as quickly as possible, without overthinking or being too critical. During my second draft is when I tend to catch things I wrote incorrectly. And I cringe! But on the other hand, it makes me very understanding of those whom I edit. There are two types of edits you’ll see back as an author: story-level edits (some call these developmental or content edits) that basically critique and coach on the craft, plot, theme, details, all the nongrammatical aspects of a book; and copy edits, which come after revisions to clean up spelling, grammar, punctuation, and the like. And everyone can be edited. Sometimes, story-wise, you get too close to what you’re writing, and you don’t see a plot hole or a too-vague explanation or a comma splice. I love editors, and I love being edited. I am always grateful for a fresh pair of eyes. Stacey Donovan, the head of Hallmark Publishing, is really a master at this. She gives great notes, pointing out things I hadn’t considered or that I’d missed, and I really feel like she made this story much better than it would have been. (Thanks, Stacey!). I must mention how jealous I am that you have the privilege of working with Ms. Donovan! Her blog posts are super helpful on many levels. Not to mention she is a joy to interact with on Twitter, and I loved her book, Sunset Cabin!!! In your opinion, does being an editor make the odds of acceptance higher? Really good one! I think it helps, because a clean-as-possible first draft is something that will stand out in a submissions pile, and having a publisher know that I have a background in helping others better their books might give me a slight edge, but anyone can have a similar chance. By that, I mean that any author submitting to a publisher can find something to set their query apart. For instance, if you’ve researched really well what a particular publisher is looking for, and you have knowledge or experience that helped you develop a character or write in a setting that fits what they want perfectly, use that! Let’s say you write a book about a plucky lumberjack in an all-woman lumberjack crew, and your book is about the heroine falling in love with the head of the competing all-male lumberjack team at the state logging competition. Adorable premise. But if this is the fictionalized version of how you actually met your husband in the same exact manner? That beats the rules that I can quote from the Chicago Manual of Style any day. Tell us what drove you to write Love on Location? I love Hallmark, and I love sweet romance. After I did the novelization of The Perfect Catch, I wanted to show readers a little more of my style, so I was so thrilled about Hallmark’s move to original fiction. I like exploring the emotional aspects of how two people can come together in the middle of life happening; not always perfect, not always on time, not always without friction—but just when it’s needed. What has been your favorite place to see/visit? So far, I’ve only ever traveled within the United States. But I’m so crazy about Northern Arizona in the summer, I’d have to say it’s my current favorite. What place are you excited to visit but have yet to? A lot of the big state parks that I haven’t been to yet! I want to hook up the camper and go see Yellowstone, Yosemite, Redwood National. I don’t think you have the space for me to include everything! I typically get up early, try to wrangle a reluctant kindergartener to school, and entertain a very cheeky three-year old while I juggle editing and writing. I try to split my day between editing, usually during the day because that’s when clients are easiest to communicate with, and writing, which I do in the evenings and at night. I’m a definite night owl, so my day is fueled by lots of caffeine. Are you the chef in the family? If so what is your favorite dish to make, if not what is your favorite dish to enjoy? I do nearly all of the cooking. I love to cook, and my husband is not that keen on cooking himself, so we have an arrangement. I cook, and he does the dishes. It’s a great deal. And I cook a ton of different things! I make a pretty killer coconut curry chicken, but I also love to whip up a full-on Southern breakfast (biscuits, gravy, grits, eggs, and bacon). What is your favorite Hallmark movie? Edge of the Garden! Have you seen it? Oh my gosh. I don’t want to give the ending away, but I cried. So much. I really want to continue the story of the Cabins in the Pines family, and I’m dying to start a cozy mystery series. I’ll update you when there’s anything new to report! I’ll be looking forward to new news!! IT IS THAT SIMPLE, YET THAT CHALLENGING TOO! Why. Do. We. Do. This?! Writers, have you ever been working on a story and stopped to check something, anything else? You should be writing, but you’re not. I’m doing it right now! Manuscript open, pen in hand, mid-edit, when I decide I need to write this post, check social media, oh look dishes need to be washed. Why. Do. We. Do. This? I tried to answer this question on my own. My response is fear, it must be the fear of finishing or fear of finding out that I can’t finish. The story needs to be worked on, yet there we are, checking this or that. Now the question is, how do we stop? I know many put their cell phones away, or turn off their internet. Sometimes that is not enough, because look dishes! Look the floor needs to be cleaned. Oh, laundry! Does it come down to doubt within our work and our selves? That once we remind ourselves we can do it and not be afraid we can power through the distractions and finish the manuscript? I’d love to hear your thoughts on WHY. DO. WE. DO. THIS?! Cover Reveal for Grounded in January! The day is finally here! Please join me over on The Biblio Blonde blog for the cover reveal of my first sweet romance novel, coming in spring of 2019. Normally, I break for the holidays with the blog, but this year will be different. I will take a short break, but I will be back before January 1st. Of course, as always, I will have a new look for the New Year, but this year it will be before the New Year! So stay tuned! I wish all my readers a wonderful Thanksgiving, and just in case, a Happy Hanukkah, a Merry Christmas, and a Happy Kwanzaa.